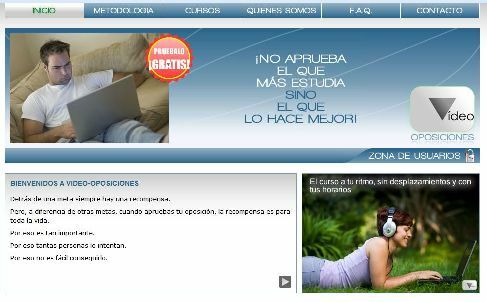 Video Oposiciones is a training platform oriented people who want to study an opposition. When we launched the project offer courses in police, National Police and Civil Guard. The system incorporates an innovative multimedia system, that each student has the topics for study in pdf format, and mp3. Just as the teacher's explanations, videotaped. At the moment the project is closed for new students and we are waiting for a second launch, intended to improve public when job, which currently is practically frozen.